Introducing OBS Draco Starter Kit to you. The OBS Draco is a classic pen-style kit with portable and ergonomic design. Powered by built-in 3000mAh battery, the Draco Kit can fire up to 80W max output and you can also enjoy a durable vaping experience. Together with the large fire button with three-color LED indicator light, you can easily operate the OBS Draco Kit. While the OBS Draco Atomizer comes with optional 2ml/3.5ml e-juice capacity and the advanced M1 mesh coil and Draco quadruple coil for optimal flavor and intense clouds. Plus the easy top refill and adjustable bottom airflow design, the OBS Draco Kit will bring you an amazing vaping experience. Designed by AFK Studio, the EUGENE Growl is a high end RTA with 3.5ml ejuice capacity and 24mm diameter. Made of high-quality Damascus steel, EUGENE Growl RTA is very solid and durable to use. It adopts handmade wrinkle pattern on the outer shell for a unique and elegant looking. The cool features is it’s interchangeable between single coil and dual coil deck, which can meet different vaping requirements. Gold & steel color to select. 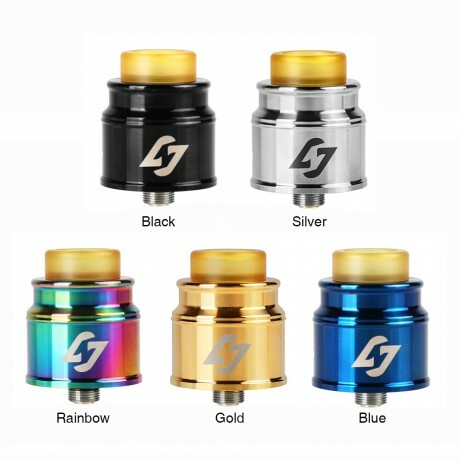 Introducing Hades RDA from Hotcig. 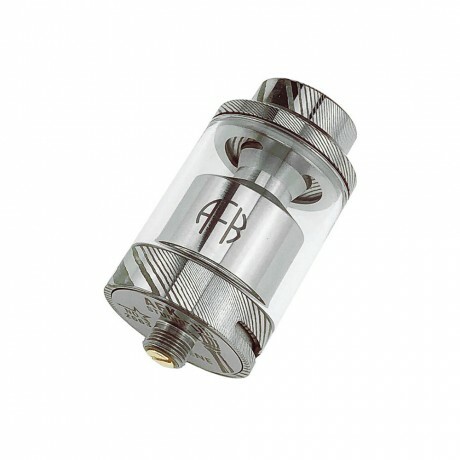 Hades is a well made bottom feed rebuildable dripper coming in 24mm diameter. It features a 5mm deep juice well and single/dual coil possibility. Coming with quad terminal postless build deck with 1mm terminals held down with top mounted flathead screws and dual directional air ports, which would bring you the best flavor and massive clouds. Plus the PVD plated colored deck and 304 stainless steel construction, the Hotcig Hades RDA will definitely be an ideal vaping device for you. 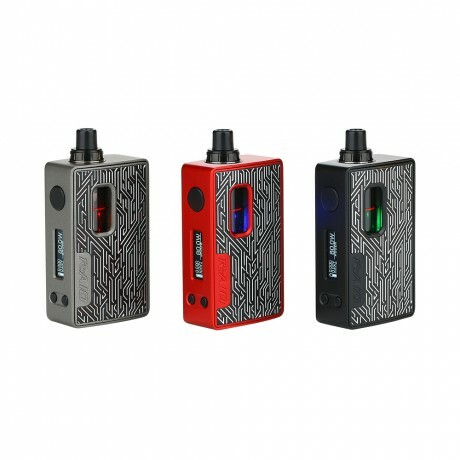 Today, we introduce you a high-end regulated device with comfortable hand feel and compact design, the Hotcig R-AIO Mod. It is constructed with Zinc Alloy and Aluminum Alloy, which made the device very light and durable at the same time. 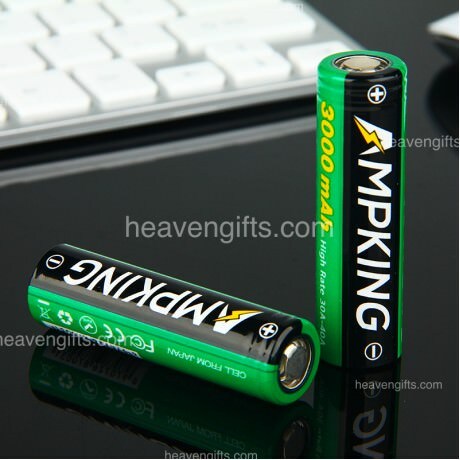 With its single 18650 battery, it has maximum output of 80W with 0.8ms firing speed. Its got a 0.9inch OLED screen and LED indicator to ensure a pleasant vaping experience. Hotcig R-AIO Mod has a spring-loaded 510 connection which is perfectly compatible with most 510 atomizers. It also comes in three different colors: black, iron grey, and red. Win the Compact and Lightweight Perl Pod Kit! 8 Winners!! This time you have chance to win this beautiful Perl Pod Kit. Now we are holding a whopping giveaway on our site. 8 kits are waiting for you! 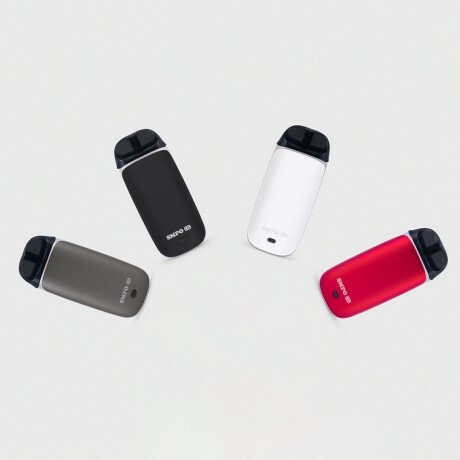 Introduce you a new cute pod kit from Aspire, called Cobble. Adopting the sleek and ergonomic design, it’s very smooth and lightweight, fitting comfortably in the hand or easily into even a small pocket or purse. Cobble comes with a built-in 700mAh battery and 1.8 juice capacity, which meets your basic vaping requirements. Like other pods, it’s an auto draw device with easy operation. Equipped With BVC Ni coil, the Cobble pod is best for nic salts with MTL vape. There are five stylish colors to choose, Dark marble, Carbon Fiber, Mountain Mist, Wood grain and Zebra Stripe. Introducing DEJAVU DJV Mech MOD, designed in Malaysia by the Adrian Lo Dejavu. Powered by single 18650 battery, the DJV Mech MOD can work efficiently with the available two types of button, the stainless steel or acrylics. And the DEJAVU DJV also features the innovative hybrid system, which makes the 510 pin of atomizer contact the battery directly for better power transfer and a harder, faster hit. Together with the advanced canted coil inside the gold plated contact pin, the DEJAVU DJV Mech MOD can supply maximum firing and reduce heat effectively. Plus the optional spring and magnetic switch, it will be very easy to operate the DEJAVU DJV with different hand feel. No hesitation, just get the DEJAVU DJV Mech MOD now. Vapefly Firebolt Organic Cotton is well made wick material for coil building. It has been arranged well in advance to make the building process easier. It is super absorbent and delivers superior flavor and a smooth throat hit. 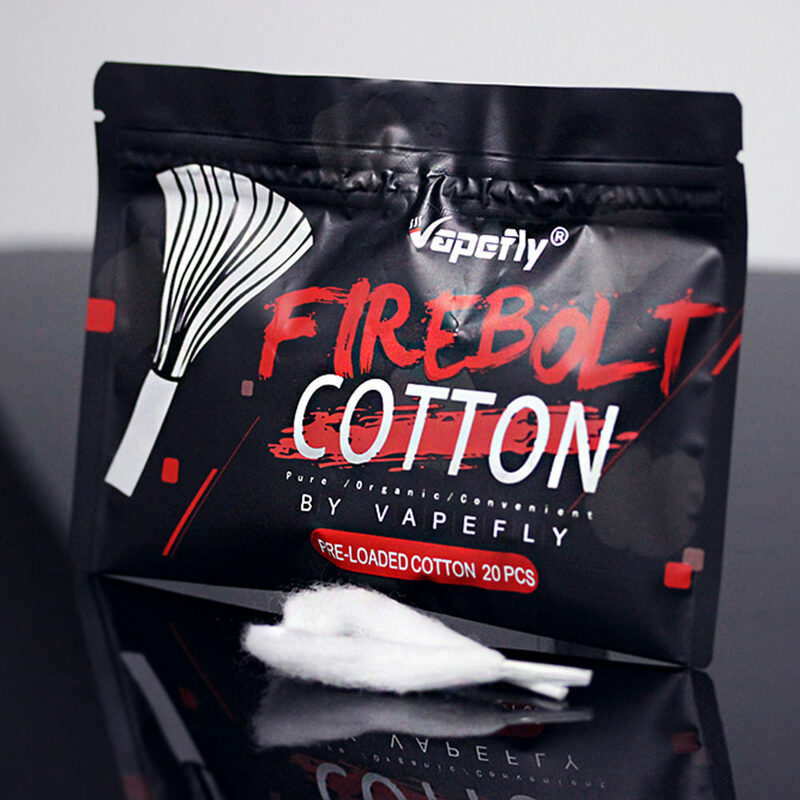 Enjoy a better building experience with Vapefly Firebolt Organic Cotton now! Introduce you the latest kit from Joyetech - Exceed Edge Pod, the updated version of the original Exceed Edge. Inspired by the sports car, it’s also ergonomically designed with pocket-able size and comfortable hand feeling. Exceed Edge Pod version comes with a built-in 650mAh battery and a 2ml bottom-refill cartridge. It features the 1.2ohm innovative MTL coil, which is very suitable for high nicotine and nicotine salt. Besides, made of PETG, the pod is healthy, heat resistant and recyclable. In a word, this Exceed Edge Pod version will absolutely bring you amazing MTL vaping experience with decent flavor. 6 attractive colors to choose.